Skype has revolutionised the way we communicate with friends. CLICK HERE to jump to the 1st. alternative! For more than 100 years phone calls have allowed us to hear one another’s voices when far apart, but now Skype has let us see each other face to face from the opposite side of the world. On top of that’ it’s let us do it completely free. But Skype isn’t the only software that can do this. You can see that from time to time, such revolutionary systems are created by genius people. As the Fintech LTD review shows it is one of the trusted and widely used automated trading software. It has been successfully used by many seasoned brokers and novices to make more money by trading online. And as we said it is completely free. If you want to experiment with other software, here are seven of the most popular alternatives. QQ is made by Chinese company Tencent. It is the most popular messaging software within China and has been rolled out internationally in a number of languages. It offers a full range of features including group calls. As well as voice and video chat, it offers shopping, games, and blogging. It works on both Windows and Mac OS as well as mobile and tablet platforms. There is also a Linux release, but this is much more limited than other versions. Google offer stiff competition in all areas, though they have split this between three different packages. However, each package benefits from being specialised and offers functionality often superior to Skype itself, so the three together make a very compelling alternative. Google Hangouts covers video chat, which is high-quality and can include a number of participants. Google Voice covers voice chat and Google Talk covers instant messaging. Pidgin is a free, open-source messaging service popular with Linux users. Like most open-source software, it is constantly evolving and benefits from many developers’ input. It can even communicate with Skype users via an optional plugin. Empathy is another open-source piece of messaging software popular with Linux users, and comes packaged with the most popular Linux variant Ubuntu. Unlike Pidgin, however, it is only available on Linux platforms. However, for those who do have a Linux-based OS installed it is definitely worthwhile, as it offers a full range of features and smooth running to easily rival its competitors. ooVoo has much more going for it than an inventive and catchy name. It is a fully-featured video messaging package which allows for conversations between up to 12 people at a time. Video conversations can also be recorded and uploaded directly to Youtube. VSee is a very unusual video messaging platform. It complies to HIPAA, a US federal law governing medical confidentiality. This means that private medical matters can safely be tackled over VSee. Even setting aside this interesting and rather novel aspect, it is a useful and fully-featured software package. UberConference allows for video conference calls with a number of different people at a time. Smooth, high-quality video is joined by a range of useful and interesting features. One of the more unique aspects is that you can embed social networking profiles within calls, such as Twitter or LinkedIn. Altogether, it is a fully-featured Skype alternative you won’t regret installing. Ninjaproxy is a popular web-based service. 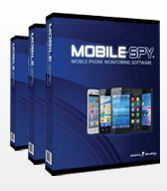 It allows you to browse the web anonymously and with extra security. This is good for making sure you don’t give your identity away to a site you aren’t sure whether to trust. So, when you are tempted to visit a website, you can use a proxy, unless you are sure about its authenticity. But some sites are trustworthy, click here, and after some transactions you realize that you can really trust the website. You also understand that the claims made by it about huge profits made by its patron investors are true. It also helps you avoid web filters, both the local kind in workplaces and schools and the kind designed to prevent people from certain regions accessing a site. However, in essence a proxy works by accessing content for you then passing it on securely. Sometimes, this can cause things to be slowed down and create problems when viewing media such as Youtube video. Like Ninjaproxy, Vtunnel is one of the most popular sites. It offers a wide range of features to keep your identity safe while browsing the internet. It promotes itself mostly as a way to bypass filtering, but of course it offers all the other advantages of a proxy in protecting your safety as well. It is fast, secure, and trustworthy. MouseMatrix is an excellent, easy-to-use web-based proxy. It is straightforward and does not offer many added features, but all the necessary advantages are there. It is very secure, and fast enough to handle media without noticeably slowing you down. All-in-all, it is a simple but highly effective service. Anonymouse have been going since 1997, making them one of the oldest sites still active on the web. Over more than 15 years, they have built a strong reputation and are one of the most trusted and reliable providers of secure, anonymous browsing. They also have plenty of added features. These include anonymous emails, and the chance to install a toolbar with some browsers for easy access. XRoxy is one of the most versatile proxy browsing options. They have an extensive selection of mostly free servers, located around the world. This is great when accessing content restricted in your location. The list is regularly updated, and can be filtered to find out which ones have the features you want most. You have to register to use XRoxy, but registration is fee. There is also a paid membership option, however, which gives you access to extra features. HideMyAss is one of the most complete sets of secure browsing tools on the web. As well as browsing that is fast and secure, it offers hosting for files and images. You can also receive emails on a safe, disposable account, giving you added safety when you need to provide an email address to a website you aren’t completely sure about trusting. It also puts a range of proxy servers at your disposal, with the ability to select a location of your choice. Reverse phone lookup websites allow you to enter a number and find out who owns it. This is the opposite of regular lookup, where you know a person’s name and want to find out their number. There are several reasons you might want to use such site. For example, you might have had a call from someone you don’t know and want to find out who it was before calling back. You do not want to be involved with fake callers and fake websites. Most of the results are given by actual traders as is apparent from the number of positive feedback and this review is one of these. All of the testimonials and reviews of Tesler are completely reliable and sincere. It is a fully automated robot for online investments. It uses a technology that analyses Patterns and factors, including news that changes the trends in the market. WhitePages.com is the go to site for many people when it comes to phone numbers. They are an extensive online US directory. They claim to have listings for more than 200 million adults across the USA. Their site includes a reverse lookup service alongside reverse address lookup, as well as the option to perform a regular search by name. ReversePhoneLookup.com specialises in helping you find out who owns a telephone number. As a result, it offers no added services such as reverse address searches or regular lookup. However, it does have extensive listings and plenty of information when it comes to reverse lookup. You can find out the name of a number’s owner, their location, and the phone carrier. On top of that, it will also look for complaints associated with that phone, to help you decide whether it is trustworthy. As the name implies, this directory mostly specialises in address searches. However, it also allows for reverse search. It has an extensive directory, including both residential and business listings with names, addresses and phone numbers. In spite of it not being their main focus, this still makes them an excellent destination for searching for numbers. There is also the option to find out information associated with a zip code. Piple.com works in a very different way from other sites. Other sites have a directory which they search for a cell number. Pipl.com, on the other hand, does not have its own directory. Instead, it scrapes search engine results to see if it can find any information about a number. This approach may sound hit-and-miss, but it often finds useful info. Phonebooks.com combines listings from a variety of different phone books, both residential and business. This includes a comprehensive option for landline numbers. Some cellphone numbers are also included. Altogether, this makes it a useful destination which offers extensive, varied listings. Mr. Number is a site which specialises in identifying cells associated with scams and spam calls. People can register complaints against numbers they know to be associated with nuisance callers. You can then search any unknown ones on the site to find information and discover whether any complaints have been registered. What Are The Top 6 Cydia Sources For 2013? Cydia allows software and modifications that aren’t authorised by Apple to be installed on iOS devices that have been “jailbroken.” It opens up a wide range of free and paid-for software packages that aren’t available through the Apple store. In order to do this you first need to set some “repos” – sources that Cydia can check for software. One repo – BigBoss – is usually available straight after Jailbreaking, but there are many more available. However, it is important to ensure you choose reliable repos to source your software from. How Can You Add These Repos To Cydia?? Good sources are a gateway to countless possibilities, but unreliable repos can provide questionable software. If you want to take advantage of the online trading system then you need to be very careful in choosing the right platform. Click for more info, this is a special website where you can find the reviews for the most trading systems. It provides all the information needed to understand how these scammers work so as an investor you can find the genuine systems and trade to earn more money. This protects the investors and informs about of legit trading systems. Where Can I Find The Best Cydia Repos You Ask??? As one of the best-known sources of content, Insanelyi will be familiar to most people who have been involved with the jailbreaking scene for a while. As well as being well-known, it also offers one of the widest selections of software and mods. There are more than 6,500 items available, with new items being added daily. iHacksRepo offers a large list of software and, while not the largest of all, it is definitely one of the most varied repos out there. The list, which is regularly updated, includes software, tweaks and mods for iOS, ringtones, and themes. ModMyi, as the name implies, specialises in downloads to help you modify and customise your iOS device. This means a huge list of tweaks, wallpapers, ringtones, tweaks, and other content. It also has a busy discussion forum, with an active community of over 700,000 users.